When you are enjoying everything the city of Roswell, GA has to offer, you never know what events could fall in your path, creating the need for emergency dental attention. Especially on a Saturday or Sunday, there is nothing more frightening than waking up to a dull throb in your mouth. Worse yet, when one of the children in your family falls under pain’s grip, you really feel the pinch. 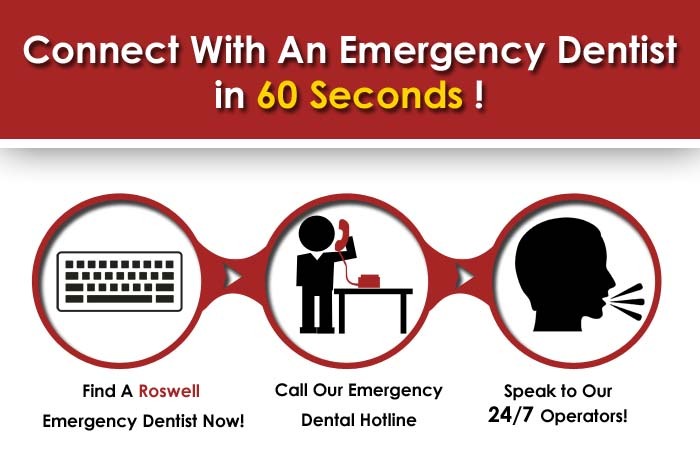 Emergency Dentists USA is the ultimate place for you to find the closest emergency dentists in Roswell, GA. If for any reason you are unable to get a hold of any of our dentists listed in the 24-7 directory, we also provide an useful hotline that can quickly link you up with weekend and night dentists in Roswell. Its hard to watch anyone in your vacationing group or family suffer from something like tooth pain, you’ll find the relief you need when you locate a walk in dental clinic. Georgia’s 8th largest city, Roswell is full of civil war intrigue and is literally a living storybook of history. Named by CNN as being #76 in the top 100 places to live in the US for 2010, there are many reason you may want to pass through and sample a slice of life here. These city emergency dentist listings have been vetted by Emergency Dentists USA, and will immediately remedy any dental issue that threatens to distress your visit. If you are unable to reach any of these providers, don’t hesitate to call our emergency dentist hotline! Description: You can call even on weekends and 24 hours a day 7 days a week to get connected with a weekend dental emergency clinic by using our hotline. Whether pain strikes you on a late night or time when you think a standard clinic would have their doors closed, we’ve got you covered when you need it most. Our partners cultivate great relationships with numbers of dentists nationwide. Description:Conveniently open until 8 PM, this is a great choice when you find yourself needing an urgent care dentist. Root canals and extractions, fixed bridges and fillings are just some of the services you will find offered here. Born and raised in Montreal, Canada, head dentist Nick Manocchio also speaks Italian and French. With extra certifications in sedation and same day crown procedures, he’s an excellent choice if you find yourself with that telltale throbbing in the wisdom tooth area or beyond. Doctors: Robert Eberbaugh, D.D.S., F.A.C.D., F.I.C.D. Description:The staff here is committed to giving you highly personalized and top notch dental care in the event of any incident you may incur. Working closely by Dr Eberbaugh’s side, top assistant Nadine Holland-Jones has collectively over 16 years of dental experience. Well known for her giving back to the community for volunteer efforts, she is a wonderful example of a seasoned assistant with a great chair side manner, so much that her patients keep asking for her when they come in to schedule. Description:One of Roswell’s top choices if you need root canal attention, or urgently want to get an x ray to get a snapshot of what needs done in the future to make you comfortable, Judd and Michael Shenk have spent their entire lives around the practice of an evening dentist. Both avid golfers and die hard Georgia Tech fans, they are known for embracing the latest technology with vigor, and going the extra mile for each and every single patient in their chairs. by city crime rankings in the list of safest places to reside. 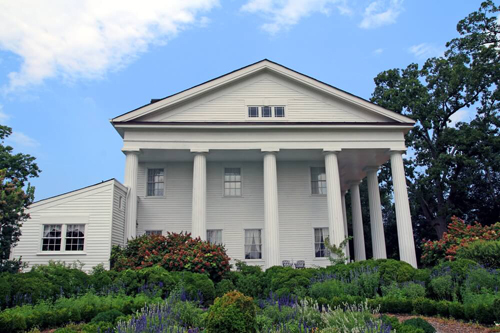 The Faces Of War Memorial, Primrose Cottage, and Archibald Smith Plantation Home are some of the excellent sights to see when you are passing through or choosing to call Roswell your home. If you are struck down by a toothache or worse , we want to be the ones to get you into a great 24 hour dentist Roswell, GA . Call Emergency Dentists USA now, and see just how quickly we will get you covered!